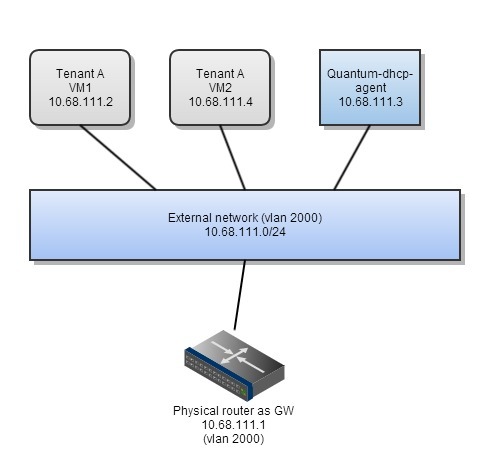 Quantum support very flexible network topologies, this section we talk about several typical modes. For this kind of network, we only need to create tenant network and its subnet, that’s all, no router needs to be created since physical router takes care of L3 function. 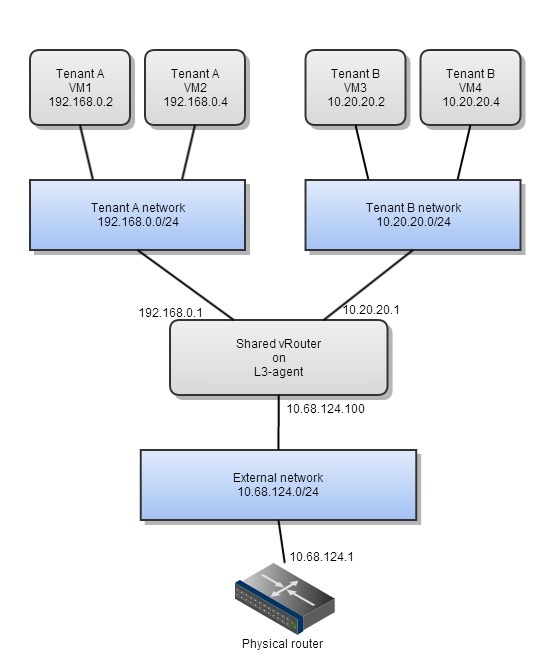 In this case, we specify this tenant work to use physical network(vlan 2000) directly without L3-agent, so VM external traffic goes out via physical router directly. Benifit of this mode: Physical network takes care of L3 traffic directly, no L3-agent traffic bottleneck pressure. 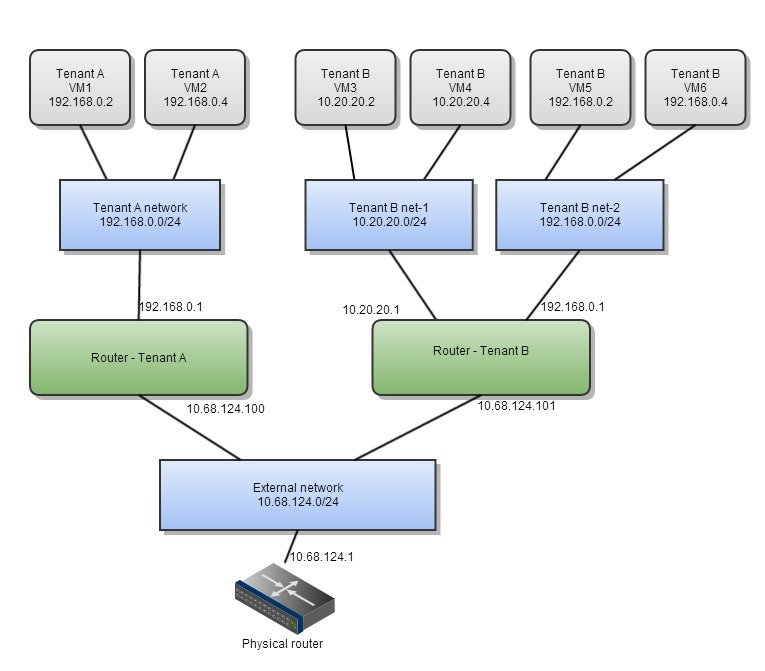 Native physical network HA can be used(VRRP/HSRP). Disadvantage of this mode: Since no L3 agent involved, meta-data service can NOT work directly for VMs using this network mode. Workaround is need, which is out of scope of this post. Also Elastic(floating) IP function does not work for this mode.